The John Lewis Partnership today revealed that it intends to have a zero-emissions fleet by 2045. Staff at the John Lewis Partnership will see their bonuses cut for the sixth consecutive year as the retail giant revealed a slump in annual profits. John Lewis staff are expected to see their annual bonus slashed next week when the department store chain unveils a sharp drop in full year profits. John Lewis Partnership is to close the Knight & Lee department store in Hampshire, putting more than 120 jobs at risk. Online bank First Direct has taken over from Amazon as the UK’s top organisation for customer satisfaction, according to a survey. 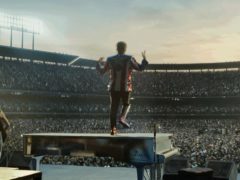 The number of streams of Your Song by Sir Elton John nearly tripled in the wake of the singer’s turn in John Lewis’ Christmas advert. 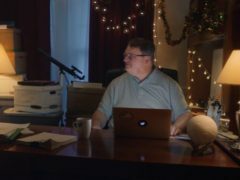 Twitter UK has made John Lewis – the Virginia-based lecturer, not the retail store – the star of its latest Christmas advert. 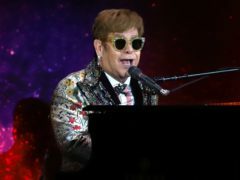 The number of streams of the music of Sir Elton John has jumped 88% since the release of his John Lewis Christmas advert – and nearly half of those listening were millennials. 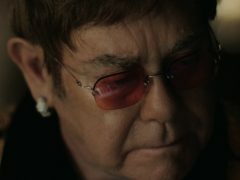 Viewers are predicting that a John Lewis Christmas ad starring Sir Elton John is about to be unveiled, after the theme tunes of many shows were given piano makeovers. A man has been fined after stealing smart watches from a city centre department store. A man has admitted stealing hair straighteners as a gift for his then girlfriend. 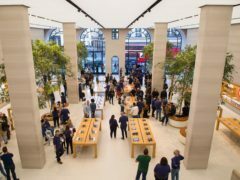 Tech giant Apple has been named the best company to work for in the UK, with staff praising an “enjoyable” work culture, good rates of pay and free or discounted goods. Organisers of an upcoming farmers market in Aberdeen hope the event will encourage people in the community to live more sustainably. Seeking sustenance after a shopping visit, we decided to head upstairs in John Lewis for a quick and easy meal. A man has been handed unpaid work after stalking an Aberdeen shop worker. 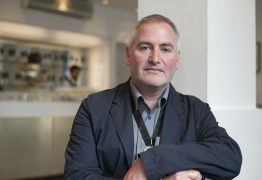 Author and former children’s laureate Chris Riddell has accused John Lewis of “helping themselves” to his picture book for its Christmas advert. Students from an Aberdeen school have received £10,000 of store credit to help transform a new building. A popular department store is looking to recruit dozens of seasonal staff over the Christmas period. An Aberdeen shop is hosting a summer fundraiser to help a cancer charity. A city centre street was closed this afternoon after unattended bags were found abandoned near a shopping centre. Police Scotland sealed off George Street, near the Bon Accord Centre and John Lewis, at 3.20pm as a precaution. Specialist sniffer dogs were in attendance. The road reopened at 4.20pm once officers deemed there to be nothing untoward. A historic Aberdeen building could be demolished or relocated under plans for a major shopping centre expansion. Plans for a major expansion of an Aberdeen shopping centre have been lodged. Businesses on one of Aberdeen's most famous streets have decided to reinvigorate the area as an artisan hotspot. John Lewis has released an upbeat Christmas ad featuring wild animals and a family dog larking about on a new trampoline, in a departure from the emotion-laden tearjerkers of recent years. Adorable cartoons? Check. Lilting acoustic music? Check. A storyline that will hit you in the feels? Check. Christmassy? Check. DONS legend John Hewitt admits he’s “stunned” to find himself an internet sensation 16 years after hanging up his boots. John Lewis has partnered with Age UK for its Christmas ad - fondly regarded as the pinnacle of festive retail - with a reminder to consumers to consider those who will be alone this year. AN ABERDEEN man who shared his name with a well-known shop has changed it by deed poll. A FASHION brand is set to open a store in an Aberdeen shopping centre.